While readers in Bucks County lament the recent closing of Cheeseburger in Paradise near the Oxford Valley Mall, they'll be happy to know that Miller's Ale House - which has locations in Langhorne (2250 E. Lincoln Hwy., 267-572-0750), Northeast Philadelphia (9495 E. Roosevelt Blvd., 215-464-8349) and coming soon to Mt. Laurel at the Aloft Hotel - offers gluten-free options. Tony's Pizza in Haddonfield (419 Haddon Ave., 856-795-4200) has gluten-free pizza. Reader Jaime L. let me know that the Metropolitan Diner in North Wales (750 Upper State Rd., 215-361-1603) has an wide-ranging gluten-free menu. Patty Mac's in Berwyn (814 Lancaster Ave., 610- 644-8275) can use gluten-free challah from Main Line Baking Company to make french toast. Thanks to reader Heather K. for the tip. The soups and salads at vegan restaurant Wildflower in Millville (501 N. High St., 856-265-7955) are gluten free, as is usually at least one dessert. I scored a copy of the gluten-free menu at El Rey (2013 Chestnut St., 215-563-3330), the newer of Stephen Starr's two Mexican restaurants. 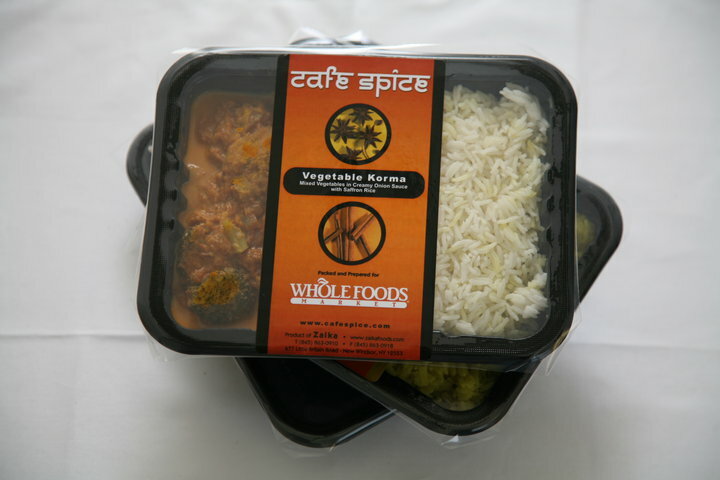 Tuesday's post featured Cafe Spice fresh Indian meals, available at Whole Foods. All six varieties are gluten free. The Gluten Free Delaware support group has organized a potluck meal on Sunday, October 23 in Landenberg, Pennsylvania. For more information and to RSVP, click through to this page. On Thursday, November 3, the Celiac Center at Paoli Hospital will have a presentation on gluten-free holiday entertaining. There will be samples and a chance to win prizes. I won't be posting next week due to a busy work schedule, but keep the tips on new restaurants and products coming, either through Facebook or directly by email. When Americans think of their favorite ethnic foods, Indian cuisine isn't at the top of most lists. (Italian is, actually, followed by Mexican and Chinese.) More than others, however, Indian-influenced foods - made with less familiar seasonings like curry, cardamom and cumin - are extremely gluten-free friendly. Cafe Spice, an East Coast-based casual chain with an outpost at the food court at Liberty Place in Center City Philadelphia, now provides prepared meals sold at area Whole Foods Markets. Varieties include Chicken Vindaloo with Lemon Rice, Vegetable Korma with Saffron Rice, Channa Masala with Lemon Rice, Chicken Tikka Masala with Saffron Rice, Chicken Curry with Lemon Rice and Saag Paneer with Saffron Rice, all of which are gluten and preservative free. (The gram flour in the Chicken Tikka Masala has no gluten; it's made from ground chickpeas.) The dishes are priced between $5.49 and $6.49 each. You can also find the Cafe Spice products at Whole Foods hot bars. 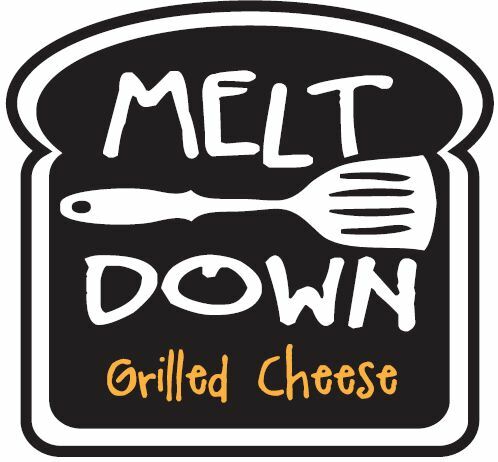 If you've ever imagined a restaurant dedicated to the humble, yet delicious, grilled cheese sandwich, your dream has come true. 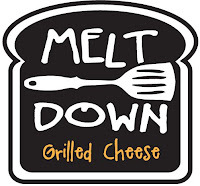 The former Peace A Pizza location in North Wales has been converted into Melt Down Grilled Cheese (111 Garden Golf Blvd., 215-368-1113). Gluten-free bread is available, and I'm told that gluten-free sandwiches are made separate from other items. Several readers alerted me to some other new restaurant additions via the Gluten Free Philly Facebook page. (Come like it, won't you? It's over 700 people strong.) Lara W. let me know that the Black Salt Cafe in Ridley Park (20 E. Sellers Ave., 610-521-1162) can use gluten-free wraps for any of its sandwiches. Bethann S. ate this week at Aperto, a American BYOB in Narberth (232 Woodbine Ave., 610-660-0160). The restaurant notes gluten-free items on its menu, including two kinds of pasta. Elevation Burger, where the bunless burgers (or patties wrapped in lettuce) and fries are gluten free, just opened shop in Willow Grove (3900 Welsh Rd., 215-659-1008). You can still enter my latest Goodies Giveaway through Sunday - swag from the Robert Mondavi Discover Wine Tour that's coming to the Philadelphia Food & Wine Festival in King of Prussia next weekend. Just add a comment about your favorite variety of wine to the giveaway post or on my Facebook page. The Greater Philadelphia Celiac Support Group's next meeting is set for Friday, October 21 at Abington Memorial Hospital. The meeting starts at 7:30 p.m., with a vendor fair beginning at 5:45 p.m. Those interested in attending and joining the group can call Karen Dalrymple at 215-757-1233. The Tortilla Press Cantina in Pennsauken is hosting a gluten-free cooking class on Thursday, October 27 starting at 6:30 p.m. The cost is $34.95 exclusive of beverages, sales tax and gratuity). For reservations, call Lydia at 856-979-3333. Team Celiac is participating in an upcoming fundraising walk for juvenile diabetes. The JDRF Walk in Camden will take place on Sunday, October 23. If you're interested in supporting Team Celiac, visit their page and make a donation in the name of team captain Evey Bell. Kozy Shack's latest sweet-tooth satisfaction: chocolate rice pudding. All of the company's flavored puddings (not the bread puddings), gelatins and flans are gluten free. The 2011 Robert Mondavi Discover Wine Tour with special guest Ted Allen will be wrapping up at the Philadelphia Food & Wine Festival on October 21-23 at the Valley Forge Convention Center in King of Prussia. To celebrate the tour, Robert Mondavi Winery is offering a prize pack giveaway for one lucky Gluten Free Philly reader. The Philadelphia Food & Wine Festival will take place on Friday, October 21 from 4 p.m. – 8 p.m., Saturday, October 22 from 11 a.m. to 7 p.m. and Sunday, October 23 from 11 a.m. to 3 p.m. Tickets are available starting at $30 in advance ($40 at the door). Children 6-12 are $5 and children under 6 are free. (Seminars, Chefs on Stage series and VIP Cocktail Party are additional.) Tickets for all events can be purchased online. You can also learn more about Robert Mondavi wines by liking the winery's Facebook page. Robert Mondavi's wines are gluten free. The prize pack includes a Robert Mondavi chef’s apron, Sigg Steel water bottle, keychain, and copy of Ted Allen’s The Food You Want to Eat cookbook. To enter, leave a comment to this post or on the Gluten Free Philly Facebook page about which variety of wine is your favorite. The giveaway runs now through Sunday, October 16 at 11:59 p.m. Eastern Time. I’ll randomly select one winner the next day and will contact him or her by email or through Facebook, depending on method of entry. If I don’t hear back from the person with his or her mailing address by the following Tuesday at 8 p.m. Eastern, I’ll select another name. DISCLOSURE: Robert Mondavi Discover Wine Tour is offering the prize pack. Neither I am nor any immediate family member is an employee, officer, director or agent of Robert Mondavi or its respective parent, subsidiary and affiliated entities, advertising and promotional agencies. My full Disclosure Policy can be found at the blog's Disclosure page.